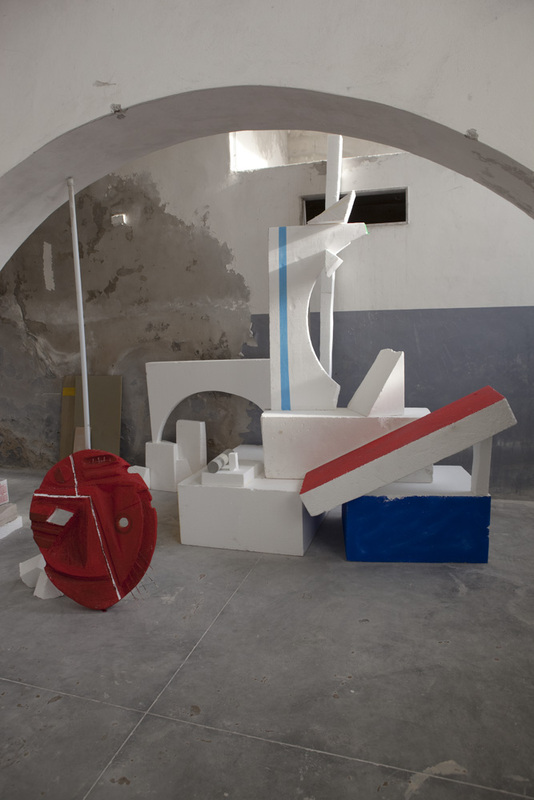 2010, polystyrene, styrofoam, wood, 500x300x250 cm. 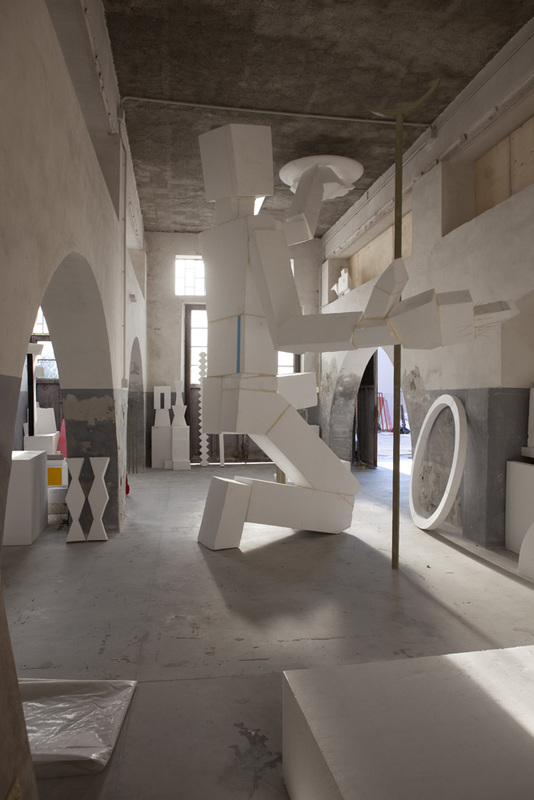 Installation view, Post Monument, XIV Biennale Internazionale di Scultura di Carrara. 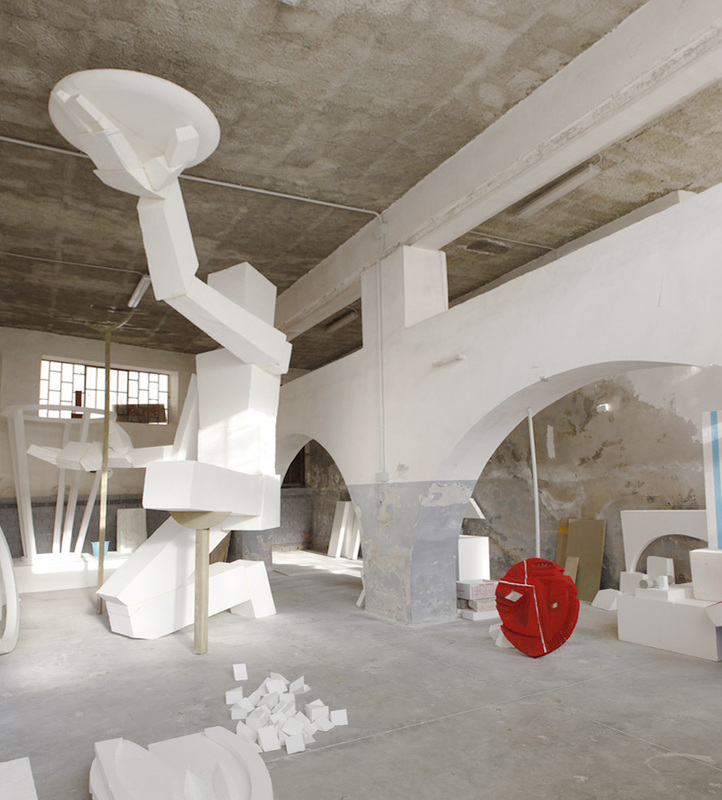 A site-specific installation of styrofoam sculptures, presented in 2010 in an abandoned marble studio as part of the International Sculpture Biennial of Carrara in Italy.